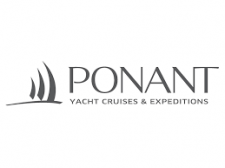 Outstanding first time Ponant Cruiser deals! Book by Mar 31, 2019 and save even more! As PONANT celebrates its 30th anniversary this year, the company announces an order for two additional ships in the PONANT EXPLORER series. The only French cruise ship owner is consolidating its position as the world leader of luxury expeditions with a fleet that will consist of 12 ships by 2021. Click this link to download a PDF flyer about this cruise!